Do Ionizing Fans Really Work to Purify the Air? Ionizing fans, also known as ‘ionizers,” are becoming popular. These devices can attract and kill particles in the air using electrical plates or grids. However, one of the questions many people ask is whether or not ionizing fans work. This, however, depends on what you are looking to accomplish. We have compiled this simple guide to help answer the question of whether or not ionizing fans do work. Learning how ionizing fans work will definitely help you understand if these devices will work for you or not and whether they will accomplish the task you intend for them to complete or not. An ionic fan comes with an inbuilt ionizer that helps to collects various pollutants in the air such as dust and pollen through the formation of ions. They do so with the help of electrons that are discharged into the air by the needles attached to this unit which receives a voltage. The main purpose of an ionizer is to clean the air inside your home or office efficiently. They produce negative ions into your room which form large particles that attract pet dander, pollen, dust, smoke, and other contaminants. This results in the formation of a larger particle that is created by the ions, which make it easier for them to be trapped in the filters of an air purifier. In other words, the charged ions produced by ionizing fans attach themselves to particles of mold, pollen, dust, and other irritants and allergens in the air. Once they become larger and heavier, they fall or cling to surfaces such as floors, furniture or walls. Therefore, only a few particles will be left in the air, thereby reducing the number of irritants and allergens that can be inhaled. When looking at how they work, it is important to understand that an ionizing fan does not capture or eliminate pollutants from your home. It just eliminates these particles from the air by making them heavier and larger so that they can fall to the floor or attach to walls and furniture. You can easily clean them through vacuuming or dusting. 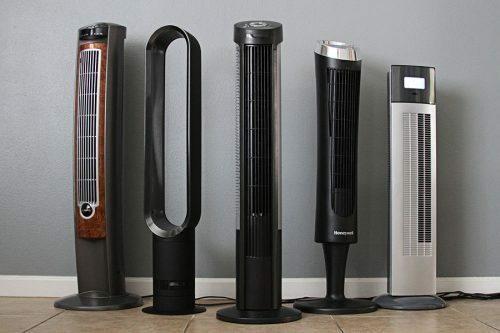 Now that you understand how ionizing fans work, let’s discuss the advantages and disadvantages of this air purifying devices before concluding our topic today. It is inexpensive- if you are on a budget and you want to have an air purifier in your home that will effectively eliminate contaminants and irritants from the air, an ionizing fan can be a great option for you. However, it is important to understand that these devices will not capture irritants and pollutants from the air; rather, they will help you clean them easily through vacuuming or dusting. It eliminates pollutants and dust- the main reason you would want to purchase an air purifier is clean air in your house or office, and this fan will do a great job in facilitating this. It is energy efficient as it removes dirty air and dust by the use of ions which form large and heavier particles with irritants so they can settle on the floor or wall. This means that the fan will only be releasing ions to purify air; it will not be purifying air on its own. They are also relatively cheap as compared to other air purifying devices, although their costs vary depending on the brand and quality of device you select. They are also solid and can easily be moved from one room to another. They are easy to care for as they have no filters that need to replaced or cleaned periodically. According to EPA, ionizing fans are usually good at charging small particles in the air as opposed to larger particles. Therefore, they will find it hard to clean air in areas where there are large pollutants in the indoor air. While some with respiratory conditions may feel an improvement, some people may develop additional breathing problems. So, Do Ionizing Fans Work? According to EPA, there is no standardized way to measure the effectiveness of an ionizer fan, since it doesn’t collect or capture particles the way air filters do. Therefore, it is hard to know how effective they are and whether they work or not. The bottom line, if you are in an area that does not have a lot of heavy dust particles or fungal spores, these devices will be effective. They can help you remove dust, pollen, tobacco smoke and most of the contaminants from the air. Once you install an ionizing fan, you will notice an improvement in the freshness and cleanliness of your indoor air. How and Why Does a Fan Cool a Room? Why Do Fans In India Typically Only Have 3 Blades?